People opt for home loans for a variety of reasons. This could be a construction of a new home, renovating, extending, purchasing a land or a property, paying stamp duties, etc. Each and every home loan bears a fixed interest and the payment terms are also fixed. Home loans for NRIs are also provided by several banks. This is the type of loan that is given to an individual, based on his assets, including his profession, business or any other income source. The property that belongs to him shall also be counted. Anyone can get a personal loan so that he can meet up his personal needs, such as paying debts, expending the money in marriage or for a vacation trip. Collateral securities are not required when a person is applying for a personal loan. The time period may vary from 12-60 months, based on the EMIs. The interest rates may also vary from 15-18 percent and it will vary from one bank to another. Roughly, only 2% of the total amount of the loan is charged for processing the loan fee. Once, the agreement is made, the EMI will start. Loans of this type are offered to those who are in business or they are about to establish a new business. As each and every bank offers business on the person’s credentials, so it is very difficult to get loan to establish a new business. So, while approaching a bank, the individual must have a clear view and he must convince the bank for the loan and how he will make the repayment. After that the bank will look at the person’s assets and his ideas, and then only it will provide the loan. The bank will also support those who have insured their property. These days, banks are providing more easy loans to those who are setting up their business for the first time. Term loans– The term of the loan is fixed, it may be of 3 years or it may increase up to 15 years for long term. Bank overdraft limits– One can withdraw more amount than what is deposited. Bill discounting– These kind of borrowings is made so that the working capital of the business could be improved. It is a short term borrowing. These kinds of loan are meant for those who want to go abroad or stay in the country for their higher studies. But, before a student applies for this loan, he must get admitted in an institute. This loan includes fees for all the expenditures that are included in the college expenses. The terms may vary from one bank to another. The RBI has a definite rule, but the concerned bank may increase or decrease and it completely depends on the institution. While you are staying in India and studying, the average limit is Rs. 10 lakh. When you are going outside for higher studies, the average is 20 lakh. When you are lending your gold the bank for a loan, it is called a gold loan. It is regarded as one of the safest way to get a loan. The amount may vary from 5k to 25 lakh. It fully depends on your agreement with the bank and the tenure may vary from one day to two years. You can also extend the tenure as several banks allow such facilities. You will be charged simple interest and this fully depends on the base rate of the bank. Car loans are easier to get when compared to other loans. The reason is, cars require less legal and paper works when compared to home and property loans. The interest rate may vary from one bank to another. While the repaying process is going on, you can simply repay the loan in monthly EMIs. You can also repay the loan with early repaying options. If anyone is having an insurance policy, he can apply for a loan and the insurance company is responsible for it. The amount fully depends on the features and the type of insurance that the person has applied for. It also depends upon the tenure of the policy. In general, it is up to 80% of the policy that you have surrendered. The interest rate varies from one company to another and the interest rates are also less. 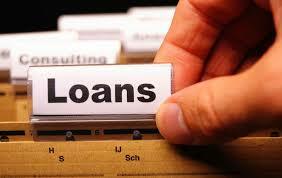 The procedure of paying the loan is decided by the company and the period is also decided. The amount that is unpaid is being adjusted with the policy amount and before any payment is made, the policy is further kept under consideration. PPF loans are one of the best and easiest options available in our country. It is actually a great option for those who are working under government sectors and they surely will require a huge amount of money at some point of their life. When you are applying for a loan against your PPF, your loan is disbursed very easily. The loan amount fully depends upon the amount that you have deposited in your PPF account. It is generally a small amount of loan. Generally, the interest rate is 2% more than the interest rate of the PPF. You can apply for the loan when you have completed two years of opening a PPF account in the bank. One can avail the loan within the period of five years of opening a PPF account. The loan repayment policy is decided by the bank and the general term of repaying the loan is 36 months from the date of applying the loan. Hence, you are getting double benefits when you are having a PPF account and you are applying for a loan against it. You will get a good amount of money twice.